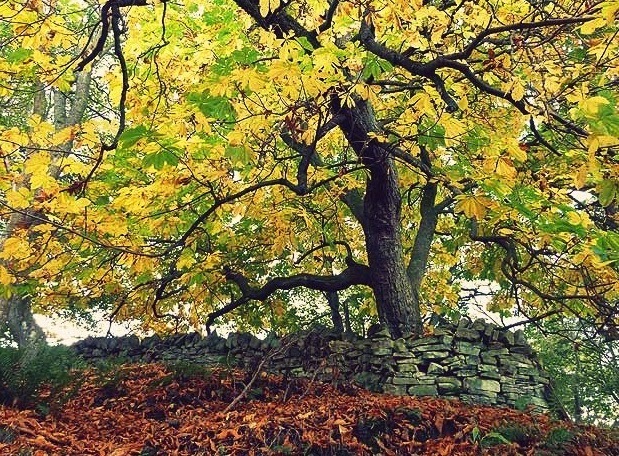 Perhaps more accurately known as the Common Horse Chestnut tree - Aesculus hippocastanum, the conker tree, is a deciduous, wide spreading, fast growing tree with prominent sticky brown leaf buds and mid to dark green leaves. White flowers with red blotches at the base are borne in May and are followed by large prickly fruits containing shiny, mahogany seeds known as conkers in the early autumn. The large prickly fruits will naturally drop from the tree when the seeds are ripe in the autumn and usually crack open to reveal the horse chestnut seeds inside as a result of the fall. Horse chestnut seeds should be planted as soon as possible as germination rates will drop quickly if they are allowed to dry out. 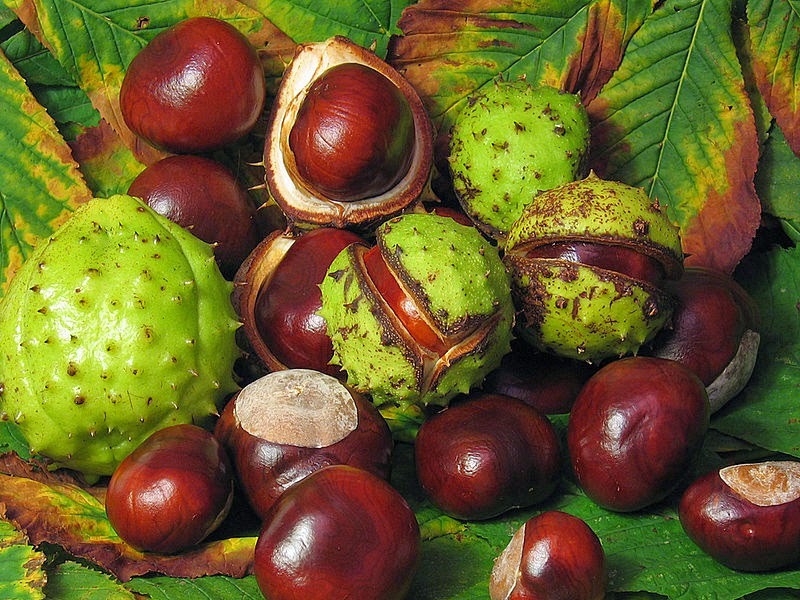 As an average only 50 % of conkers will germinate so plant twice as many conkers that you want trees from. The common horse chestnut tree is very easy to grow from its conkers, and are best 'field-grown' in nursery beds or cold frames outdoors during September and October. They can also be potted on into 4-5 inch pots containing a good quality compost such as John Innes 'No 2'. Water them in and place in a cool bright, frost free position, or a coldframe or unheated greenhouse if you have one. Field-grown seedlings can be left in place for two to three years before carefully lifting over the winter once the leaves have dropped, and planted into their final positions. Conker trees will require a position of full sun and planted in a well-drained, but moist, humus-rich soil. The horse chestnut received it peculiar common name from the mistaken belief that its fruits cured horses of chest complaints. 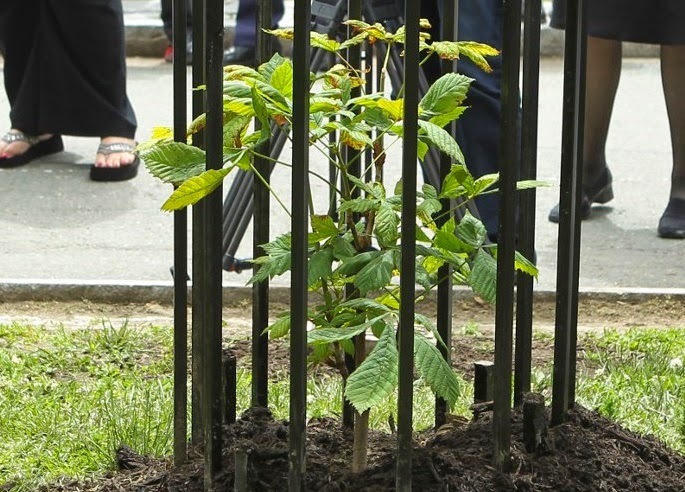 Horse chestnuts are in fact poisonous to horses. WHAT IS THE SIZE OF AN ELEPHANT?